There are two Hiromis. The one who sits down to talk to JazzTimes is soft-spoken and reserved, self-deprecatingly describing herself as “the little Japanese girl” and confessing to the culture shock of moving to a country where introductions often involve hugging and kissing rather than bowing. This is the Hiromi who, according to an article in the Japan Times, once heard a cell phone in her audience and quickly emulated the ringtone’s chord pattern on her keyboard to spare the offender from embarrassment. This is the Hiromi who habitually apologizes even when she knows she’s done nothing wrong, only because, she explains, it’s in her cultural DNA to do so. Only those who meet her offstage experience that Hiromi. To the rest, she’s a wild woman, a fleet-fingered, hyper-animated dynamo whose stage persona is so hopelessly engaging that, at Manhattan’s Blue Note last October, she can’t help but draw gazes away from her far-better-known band mates: Stanley Clarke and Lenny White. Bolting upright from the piano stool, hunching over the keys, hair flying, face scrunching into a grimace, open-mouthed grin omnipresent as she alternately attacks and caresses her Yamaha grand, Hiromi Uehara, age 30, borders on the flamboyant. This is the Hiromi who reveals that her dream gig would be “to play with Frank Zappa, but he’s not here anymore” and who wonders if “Maybe it’s hard for people to believe that I do music seriously” because she always looks so damn happy when she performs. Glimpses of the first Hiromi do manifest occasionally during her performance: head tilted back, eyes closed, the pianist turns briefly introspective, lost in the solitude and wistfulness of a ballad. She seeks grandeur from her instrument without losing sight of poise and modesty. Then there are the Hiromi newbies, those who’ve come to the club to catch the rhythm section, the Return to Forever alumni whose affiliation stretches back a good decade before the suspected interloper was even born. Unaware of the young pianist’s qualifications to share a stage with the seriously legendary, they wonder aloud pre-show why the veteran jazzmen might have chosen her when they could have had, well, anyone. By the time the show is over, climaxing with a monstrous reworking of the Red Hot Chili Peppers’ “Under the Bridge,” Hiromi mugging and stomping and chopping at the keys with her fists while also dazzling with her sheer musicality, they can only wonder why they’d never heard of her before. Clarke has been fielding a lot of questions himself lately. “Every place we go,” he comments backstage prior to the set, “they ask, ‘Who’s that girl? Where did you find her? '” It’s a fair and natural question though, if only because whenever and wherever Hiromi performs, jaws routinely drop. It doesn’t take more than a few minutes for most in her thrall to understand that Hiromi Uehara-who goes only by her first name professionally-is one of the most exceptional, and entertaining, jazz pianists in the world today; the surprise on the faces of the previously curious and skeptical is palpable. At the Blue Note, and at each of her gigs, Hiromi leaves no doubt that she has graduated from rising star to force to be reckoned with. And the ranks of those who don’t already know that are thinning all the time: Hiromi’s reputation, in a career that has been on the ascendant for more than half her life, has been spreading exponentially with each new undertaking. There has been no shortage of those lately. The handful of fall Stanley Clarke Trio gigs supported Jazz in the Garden (Heads Up), the bassist’s first-ever acoustic trio recording as a leader. 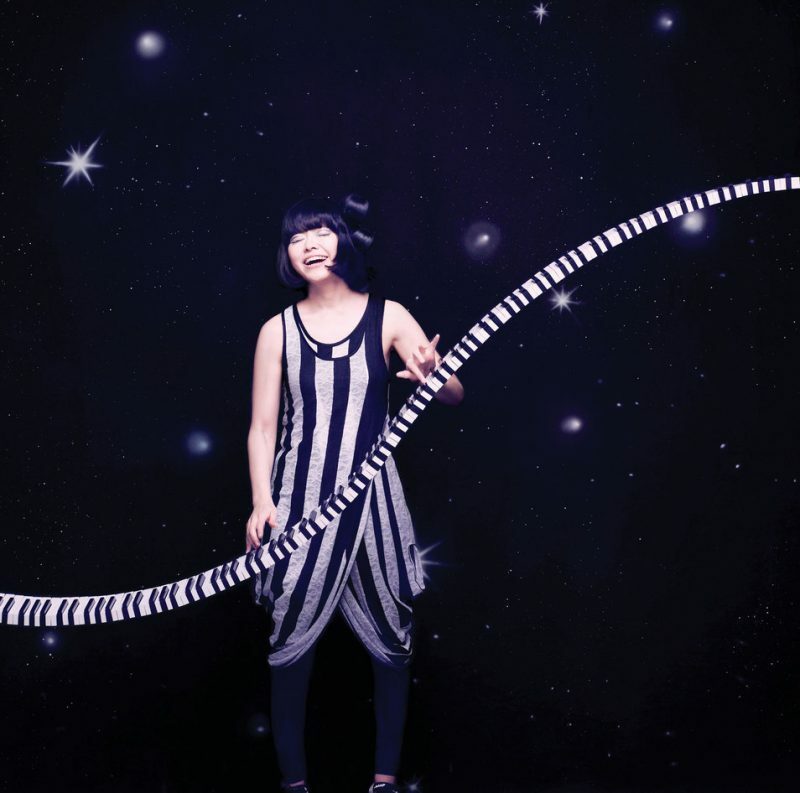 Its release bookended a year for Hiromi that began with the release of Duet (Concord), a double-CD that featured her performing with that other Return to Forever guy, Chick Corea, both on acoustic pianos, at Tokyo’s Blue Note in 2007. 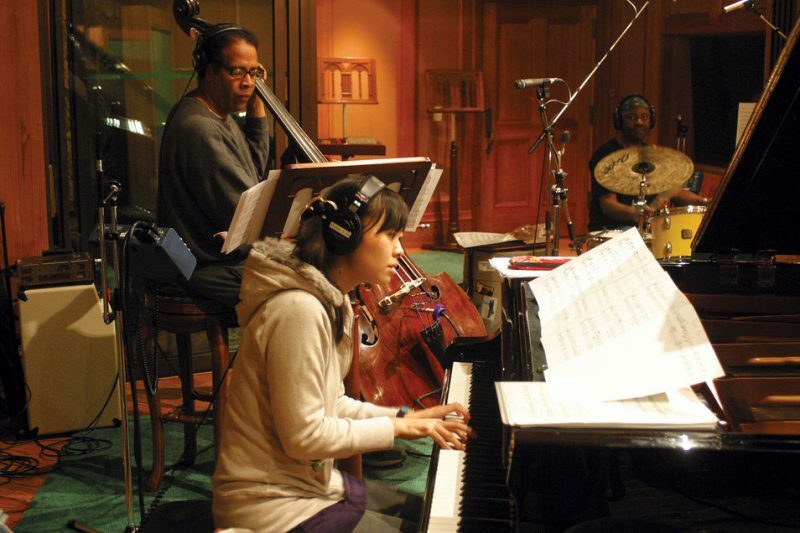 And now, as 2010 gets underway, Hiromi is set to release, this month, her first solo album, Place to Be (Telarc). She believes it’s the best work she’s ever done, and while every artist tends to say that about the latest project, she may be right. Place to Be, says Hiromi, was conceived as a means of documenting the previous decade of her evolving musical life before moving on to the next phase. The rest of this feature is contained in the January/February 2010 issue of JazzTimes.